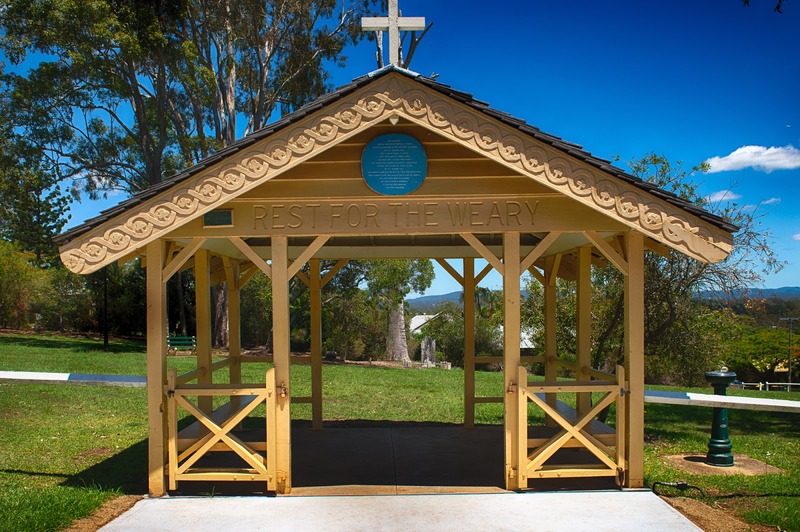 On top of a hill in the leafy suburb of Corinda is a peaceful parkland containing around a dozen graves. 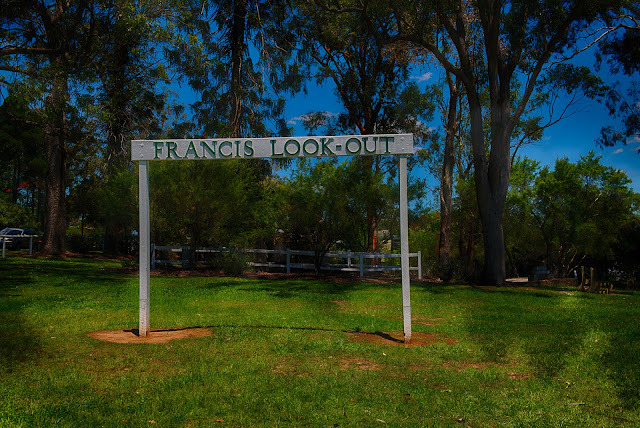 It was once the private cemetery of one of the area's founding families, the Francis clan. Burials took place here for over 100 years from 1866. 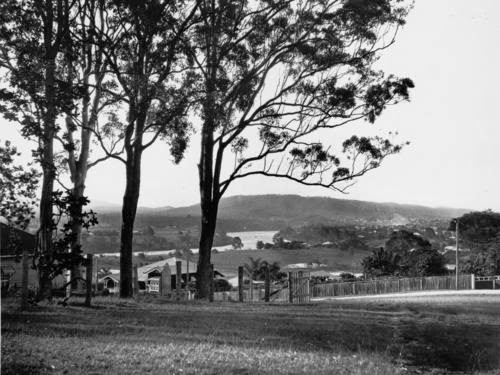 Known as Francis Lookout, the view originally took in a fair expanse of the Brisbane River as can be seen from the top photo taken in 1931, but today's mature trees have blocked that vista. 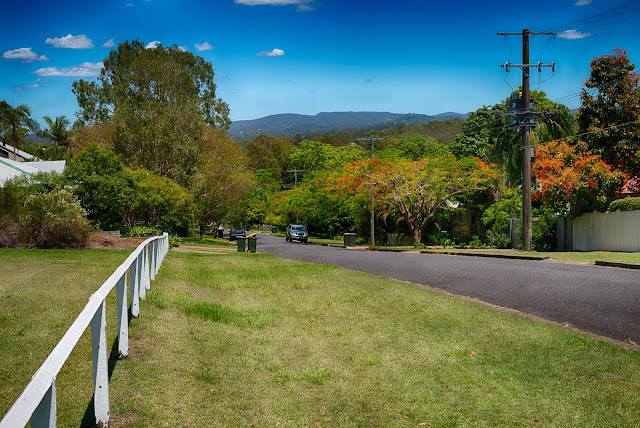 The cemetery was taken over by the Brisbane City Council in 1934 after a rationalisation of Brisbane's burial grounds. One of the conditions of the move from the previous trustees of the graveyard to the BCC was the erection of a suitable sign in the reserve. "The pioneers Angela and Arthur Morley Francis arrived in Brisbane on the good ship Saldanha on 22 January 1862. They took up about 70 acres quite untouched by human hand and here they pitched their tents. The Queensland Women's Historical Association affixed this plaque 100 years after on 22nd october 1962. This private cemetery, on part of their own good earth near Consort Cliff, was called "God's Acre" by Angela. The lych-gate, with its carving, was her personal memorial to her beloved husband and their children." Details of the graves here can be found at this informative site.